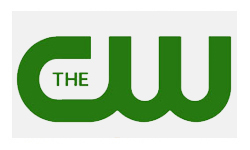 I’m pretty far behind with the upfront coverage, so I picked The CW tonight as they’ve hardly got any shows to start about. There are only three new dramas and a collection of painful reality shows. It’s a pretty apathetic line up to be honest, even The CW don’t seem that proud of it; none of their trailers are available outside the US, hence the crappy quality videos below. Some shows are killed and pulled from the schedules with such suddenness you can hear the air rushing into the vacuum. Other shows are allowed to age, grow old and then respectfully retired with fair notice and a chance to tidy all their affairs up. Smallville is the very definition of that. After 10 years Smallville was wrapped up this year with characters returning and satisfying resolutions to all its stories. I’ve never actually watched it, but even I appreciate The CW allowing it to close out with dignity. Less dignified was the demise of Hellcats, whose cancellation was announced pretty much by its failure to appear on next year’s schedules. I enjoyed the pilot, despite its ridiculous plot and over the topness, but I didn’t get round to watching any other episodes because it aired on MTV in the UK and I couldn’t face it. Somewhere in the middle of the range of dignity, Life Unexpected wasn’t renewed either. Another show (like ABC’s Parenthood) that I didn’t get in to because I assumed it wasn’t going to last, and despite surprise that it was renewed for season 2, it will not be back for 3 next year. Yay, Supernatural will be back for season 7! It was supposed to be a five year story and somehow they just keep going. One Tree Hill is being given a final half season to close itself down, I hadn’t actually realised it was still on to be honest. Also back are Gossip Girl (which I’m a couple of seasons behind on and not that fussed), The Vampire Diaries (which I guess I should give a proper chance to at some point) and Nikita (which I found utterly unremarkable). Hart of Dixie – New York doctor in small town Alabama. Looks tedious. Ringer – Sarah Michelle Gellar (Buffy!) returns to television twice over to play twin sisters, one of whom steals the other’s identity. I’m hoping the actual show is more lively than the trailer which was over the top and slow as mud. The Secret Circle –This show will fit in perfectly with the rest of The CW schedule – teenagers and supernatural stuff, The Vampire Diaries with witches effectively. Could be ok but the trailer was again, utterly ‘meh’.